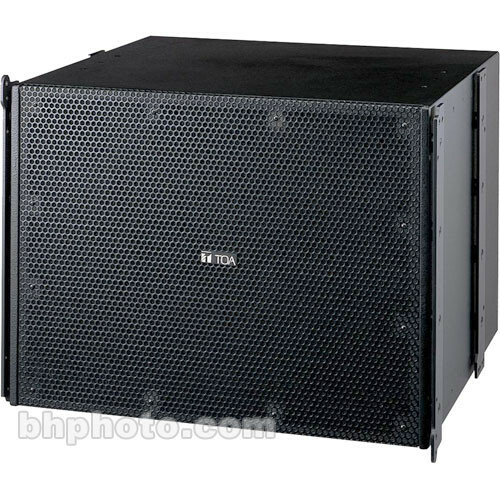 The SRA18B Mid-Sized 720W Subwoofer Module (Black) is an integral portion of the SR-A Series providing the low-frequency sound you need to get the best sound coverage characteristics for your performances. These speakers work best in permanent installations and are designed so that techies can easily reach inside and perform maintenance. The Type A Series is meant to be used in a permanent situation and has a convenient rear access for maintenance. This bass-reflex sub woofer is designed to support the Type A Series speakers by providing those quality low-frequencies you need to give the best performance possible. Box Dimensions (LxWxH) 33.78 x 31.3 x 27.17"